I am late to the podcast game. I have spent years listening to audiobooks during my long runs, but have just recently begun listening to podcasts, and I will never go back, especially since my discovery of the podcast, Ten Junk Miles (TJM). If you are from the Chicagoland area and you enjoy running, you need to be listening to this podcast. Heck, even if you’re not local, you should still be listening! TJM has 1.6 million downloads and reviews from listeners worldwide in 144 countries. The Ten Junk Miles Podcast has a unique format that provides a great experience for everyone’s listening style. The hosts rotate between a “Gang Show” and a “Long Run” and release new episodes just about every week. The Gang Show is an unscripted, 2-hour-ish, romp with the hosts. This format follows ten, ten-minute, segments in which the hosts discuss everything from blister popping techniques (always at an angle) to the debatable difference between the usages of the words inversus on. The Long Run is a 2-hour podcast which features a one-on-one interview between the show’s founder, Scott Kummer, and a VIP in the running community. Guests have included world record holder, Camille Herron, the GOAT (greatest of all time), Ann Trason, and founder of Trail Sisters, Gina Lucrezi. 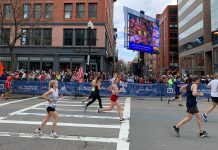 In addition to these well-known running superstars, TJM strives to feature people that may not be as recognized, but are making a difference in the running world. Hosts have changed since the inception of TJM, but the current hosts include founder, Scott Kummer, Holly Lindroth, Rachel Ingel, Siva Balu, and Adam Benkers. All hosts are active runners in the Chicagoland community and beyond, participating in countless ultra’s each year. Kummer leads the gang through the segments, discussing a wide variety of running topics such as race experiences, individual mileage logged and upcoming races, running techniques, gear, and more. In addition to what you would normally expect to hear within a running podcast, TJM talks about issues that have absolutely nothing to do with running, but rather issues the hosts have encountered in their day-to-day lives, or topics that simply pop into their heads during the podcast. Some of the funniest segments happen when the gang gets going on a topic completely unrelated to where they originally began. I, like many runners who train while listening to the TJM podcast, have begun cracking up mid-stride, and have received strange looks from those passing me by. But, I think what makes the TJM podcast so unique is the genuine likeability of the hosts. In addition to their sometimes, off-color humor, and sibling-like badgering of one another, the hosts are authentic and relatable to listeners, so much so, that several of the shows’ reviews on iTunes tout how listeners feel that they have found a group of friends in the TJM hosts. The hosts are honest to a fault, holding nothing back, and share even their most personal moments with listeners. Hosts have openly shared losses of loved ones, addiction struggles, childhood trauma, and emotional issues. The chemistry between this set of hosts comes through in every single episode and listeners feel like they are a part of the TJM family. After seeing the legitimacy of the TJM hype, I contacted Scotty Kummer to ask a few questions for this feature story. Instead of simply sending me quotes over email, Kummer invited me to be a guest on an upcoming podcast so that I could have an in-person experience of TJM, a true testament to this team’s sincere connection to the running community. I jumped at the opportunity to see how the sausage was made, so to speak. Upon arrival, I instantly received a hug from Holly and a warm greeting from the group. They offered me dinner, drinks, and dog-love from Kummer’s Doberman, Dovi. I was instantly comfortable with the group and enjoyed the controlled chaos that is Ten Junk Miles. 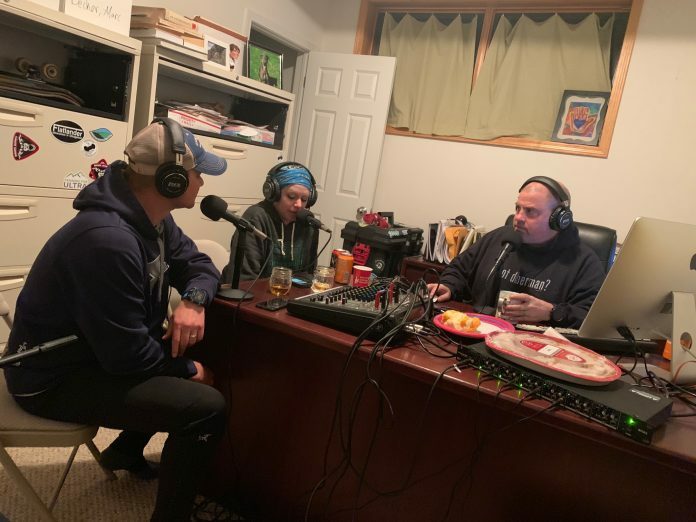 Kummer kept the group on track, moving through the structured segments, ensuring that all milestones were met for the week, including a Strava shoutout, mileage log report from each host, package opening, advertisements, and opportunities to support the show. Amidst these milemarker stops, organic discussions broke out between the hosts which covered both running and non-running topics. And, as usual, there was a lot of laughter, inappropriate references, and good-natured banter, including an abnormally long discussion on breast milk. Following the podcast, I asked Kummer for information about TJM download statistics and for his thoughts about the hundreds of five-star reviews on iTunes. Instead of walking me through TJM’s steady increase in popularity, Kummer explained that his real objective is to support his listeners. “The fact that people are constantly telling me that this show makes a difference in their life is the main reason I keep doing it,” added Kummer. Listen to the episode I was on here! If you have not checked out Ten Junk Miles yet, I urge you to download it for your next long run, or long car drive, whichever comes first. You will be hooked just like I was. You can learn more about TJM at their website here – https://www.tenjunkmiles.com/and follow them all over social media. TJM is also hosting their first set of races in August, 2019. 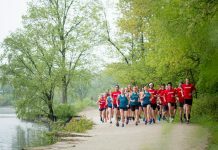 The Badger Trail Races will take place on August 3-4 and will offer a 100 mile, 100K, 50 mile, 50K, Marathon, and Half Marathon. 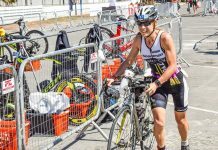 You can find out more about the races here – https://www.tenjunkmiles.com/tjm-racing/. Too much Scott, not enough Siva.